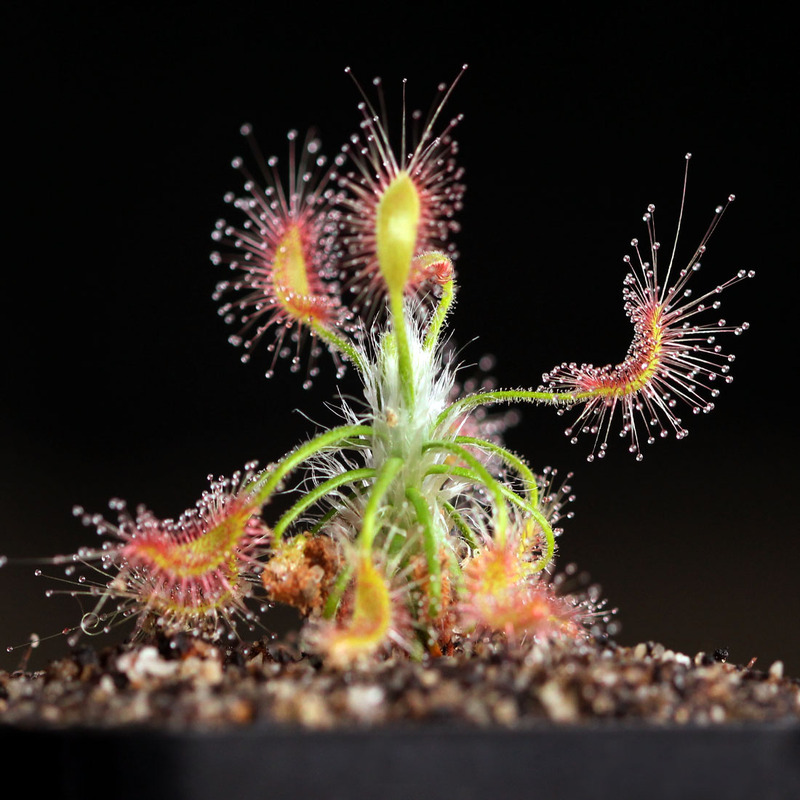 Drosera scorpioides is rather large for a pygmy sundew and can grow over an inch in diameter. 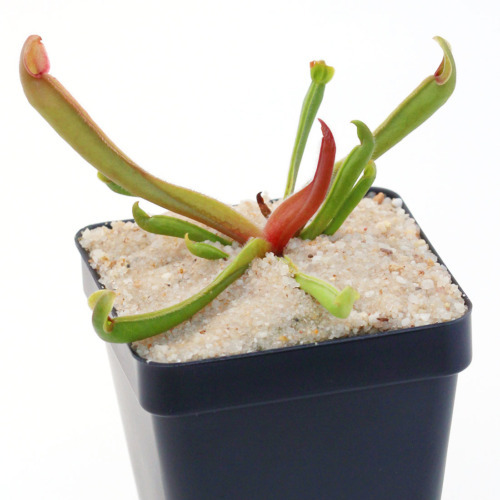 Native to south western Australia, dry summers will cause D. scorpioides to go dormant. However, active growth will resume in the fall when moisture increases and temperatures return to moderate levels. 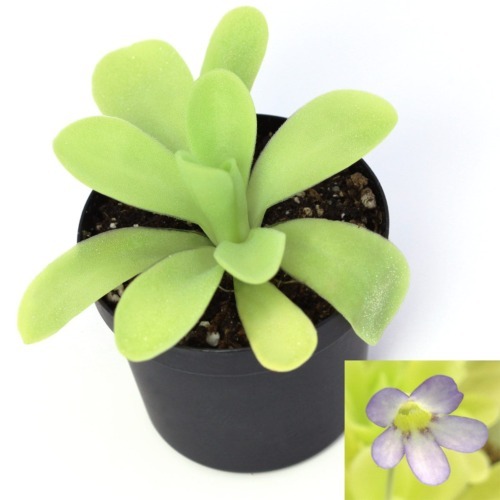 During this time, the plant will produce several modified leaves called gemmae. 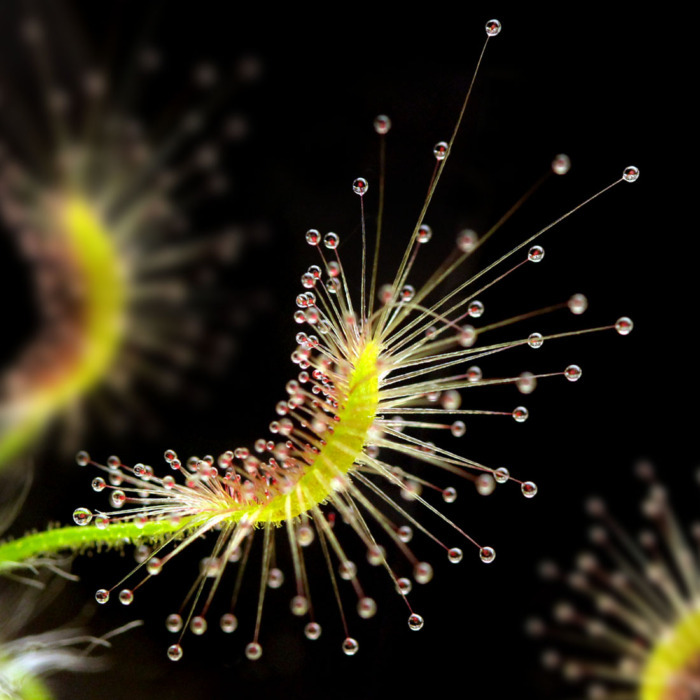 The gemmae are spring-loaded by small hairs which cause them to burst into the air when struck by raindrops. 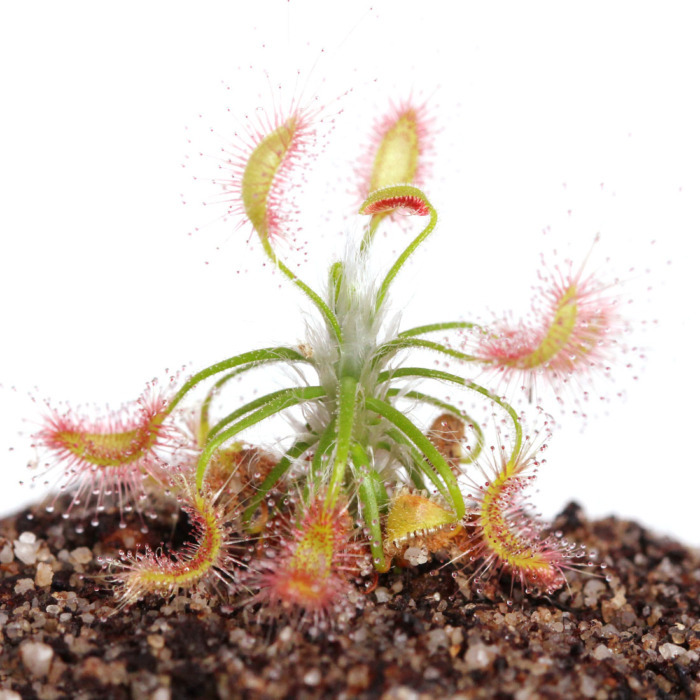 After landing, the gemmae quickly grow into new plants. 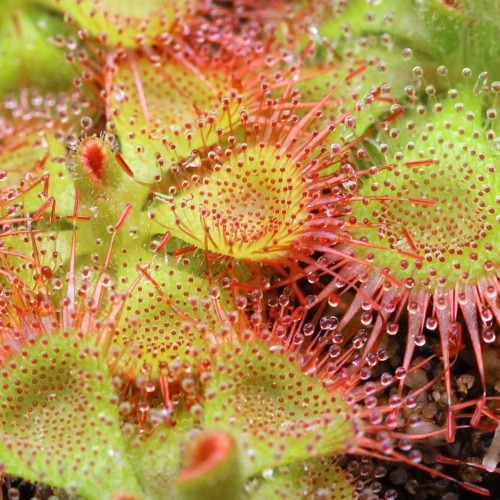 Size and packing method: Because pygmy sundews have fragile roots, plants are shipped in small plugs of soil with biodegradable wrappers. Upon arrival, pot the soil plug including the wrapper to avoid root disturbance. 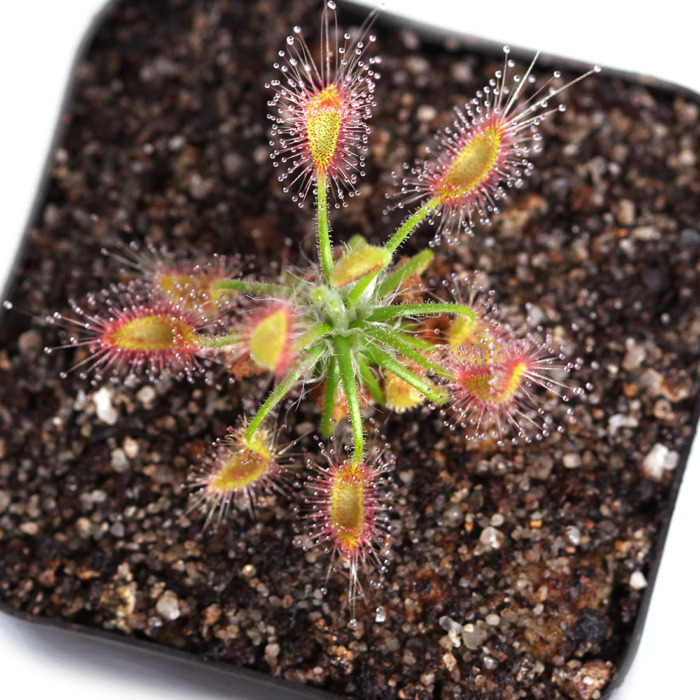 Plants are between 1/4 and 1/2 inch in diameter when shipped.